Source/Format: e-book provided through GR group, Paranormal Romance & Urban Fantasy Fanatics, Read 2 Review (R2R) program. Allison La Crosse, beginning a challenging family medicine residency, leaves the protection of her family. With the transfer, her worst nightmares come true. Her closely guarded mystical talents – those which seldom appeared before the move – unleash themselves from her confinement and reveal their presence with very little provocation. Allison’s most terrifying power is her compulsion to cure the dying with her touch. Given her career, this gift would be valuable if she were not drawn like a magnet to the ailing person's every symptom. Some of which are fatal. At the hospital and surrounded by life-and-death emergencies, Allison’s inability to manage her impulse turns deadly. When it does, her mentor, Brody, rescues her from her own demise. His resuscitation ignites an exciting and tempestuous bond between them. Desperate for a cure, they join forces and embark upon a journey to uncover the origins of Allison’s lethal curse. In the midst of their adventure, Allison exposes a secret pursued by many…known by few. 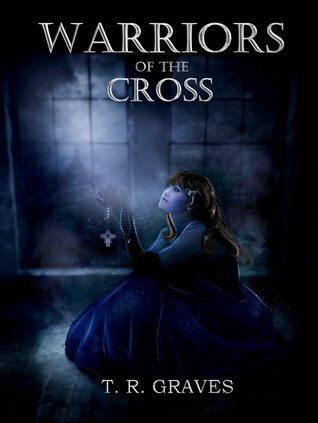 Warriors of the Cross is definitely the book of the series that sets the foundation. It was actually a welcome reprieve from the first-in-series that bombard me with information and make it more complex to read than it should be. The characters were one of a kind and I still can't quite figure them out. Allie seems to be a strong female lead, but sometimes she lets little things get to her and I just couldn't understand why. She definitely created some unbreakable bonds in the story, but they were a far cry from the 'insta-love' that usually makes a story very corny. I liked how Mrs. Graves allows us to get to know Allie, Brody, and Clark at the same time that they're getting to know each other. It didn't bother me that the really juicy part of the story was towards the end because I loved reading how Allie dealt with her powers while ignorant of everything surrounding the mystery of them. I did get confused when a character mentioned in the beginning of the story showed up towards the end (because I didn't get their significance at first), but I think maybe it'll all be cleared up in the second book, Guardians of the Cross, based on the very cryptic ending. Can't wait! Thanks so very much for your input. I really appreciate it. Welcome to LOVEY DOVEY BOOKS!